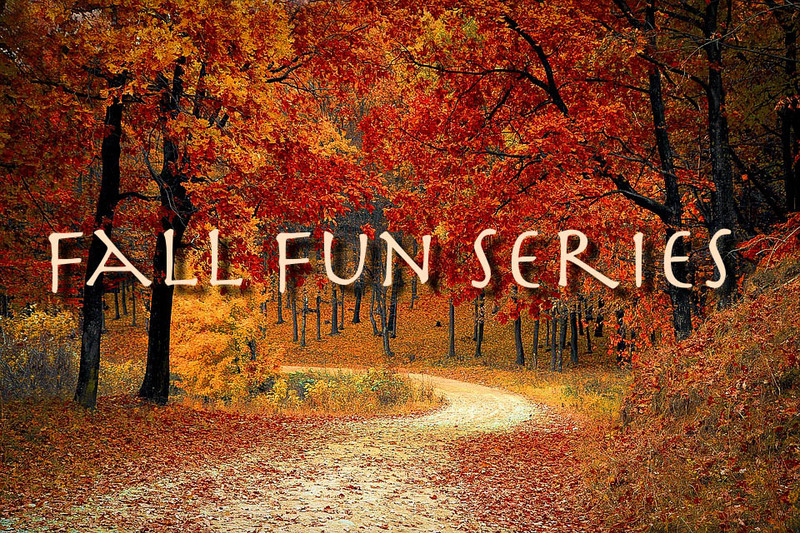 Furianne: Fall Fun Series - Fall Music, Movie, and Book! This is a weird post in the series. What I associate with autumn isn't traditional by any means. I have certain things that scream fall/cooler weather to me, but I don't think they'll hit others with the same impact they do me. So let's turn this into a Learn About Liz post and find out the reasons behind my silly choices in fall related entertainment. :) Yes, I went ham and decided to share my fall picks for all of the options suggested to us. First up is music. The first thing that came to mind for fall music was the Ironforge music from World of Warcraft. LOL! Besides that, Eiffel 65's Europop album is synonymous with fall to me. This album first made me think of moving to Washington state, spending weekends and long holidays in Sequim with my grandparents, and listening to this album as I got ready to go to the local indoor pool with my aunt, uncle, and siblings. In fall 2014, I had a huge nostalgia bug hit and had the entire album on repeat whenever I was home and in the car as I drove into work. That changed the memories I associated with the album, but it's still from the same time of year. Next is the movie. Right about that fall 2014 nostalgi-bug session, Titanic was also added to the Netflix movie list. Either that or I noticed it. I had only watched Titanic once before, in the summer before 8th grade. Something about having that movie being on in the background while I cleaned or lounged around the empty house filled a hole in my heart where Michael should have been. Depressing? Just a little. Do I care? Nah. It's a time in my life that I don't deny happened, and I'm in a much better place now. Finally is the book. Lightning by Dean R. Koontz. This was the first of Koontz' books that I pulled from my dad's expansive horror/mystery collection one fateful cold evening in high school. Thus began my love of Koontz, Stephen King, John Saul, and others who wrote in the same genre. There was also a downside to this: most of Dad's books were from pre-1990. That in itself isn't bad, but I came to like each of these authors' earlier writing styles and became a bit of a snob about their later writings. I still have some trouble reading their newer books, so I've given up trying. For now. That's it for my fall entertainment preferences. I'm also in love with classical music, but that plays in the house at all times of the year so I wouldn't call it a fall preference. For melts, I've been slacking. All I've melted that's fall themed is Candles From The Keeping Room's Bendel's Fig Type. It was nice learning a bit more about you through this post. I need to start reading some horror suspense thrillers. I do like that genre, but I tend to read before bed and I'm scared I'll freak myself out too much to sleep! I always wonder if my sleep issues are due to all of the horror stories I grew up reading. Definitely isn't a smart choice to read stuff like that before bed if you have an overactive imagination. LOL! As I was telling Sunnee in a comment on her blog, the New Moon (Twilight series) soundtrack is firmly implanted in my brain as fall related. I was 110% into my soap making adventure while the Twilight movies were coming out and I was listening to the soundtracks nonstop. I love Blue. Michael and I always break out in song whenever we mention anything being blue. Now that you mention it, that totally fits with being fall related for me as well! My sister absolutely loved Twilight and she would play the soundtrack and movie all the time. I've always loved little glimpses into other peoples' brains, so I figured it would be fun to give a weird glimpse into mine. Hey Liz, I appreciated getting to know you a little bit more after reading. I'm a huge classical music fan and listen a lot while driving. I went through the same SK, DK and JS phase, though a few years before you. Nothing was better than Koontz's Midnight but I kept reading his stuff trying to find another that scared me as much. Saul's Black Lightning really freaked me out as well. I must order this CFTKR, for sure with that one! I love classical music! It definitely helps keep the road rage at bay while driving. Oh man, I forgot about Black Lightning. That was a book that haunted me for years after I read it. I wonder why fall brings nostalgia back so strongly for so many people. I'm convinced it's because of all the fond childhood memories we associate with all the holidays around this time of year. I lived there from '02-'06! It's a gorgeous state! Especially in the peninsula! For someone who has watched Titanic about..oh I don't know.. over 100 times, It's so strange to hear someone say they had just watched it only once before. Girl I'll walk you through that whole movie. ha-ha! I am a bit of a movie geek. Good to get to know you a little better. I also love that song Blue! Glad to know I am not the only one. Great post! My young, fragile 13-year-old mind couldn't handle the loss of Jack after finally watching the movie for the first time. HE COULD HAVE FIT ON THE DOOR! Now, I'm a bit more versed in the movie and crave watching it every so often. Sometimes I don't even watch it. I just put it on in the living room while I clean the house.